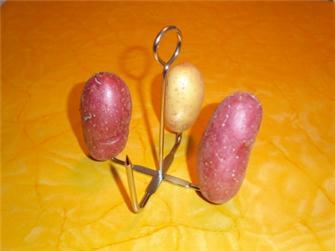 Chip cutters, potato masher, peeler… All the kitchen utensils for potatoes. 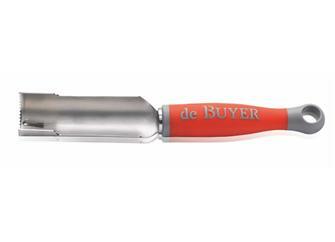 Electric potato peeler, 1 kg in 2 to 4 minutes. 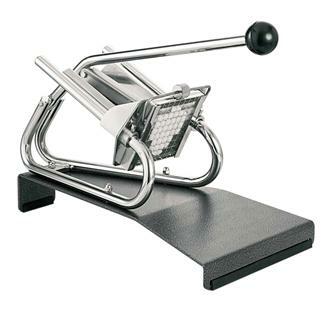 Potato chip slicer. 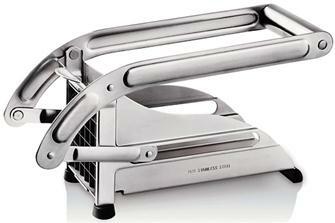 Cuts thin slices of potato for making crisps. 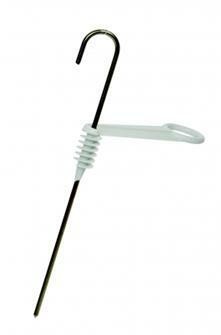 Also suitable for dehydration. 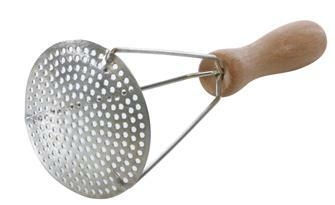 Double action stainless steel potato masher. 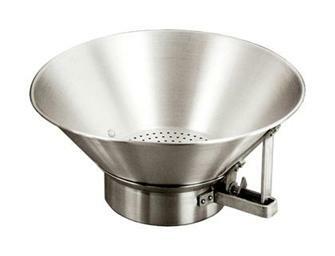 Stainless steel French fry strainer with a diameter of 39 cm. 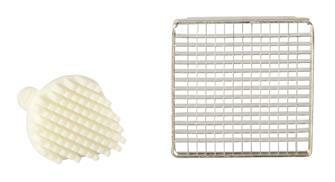 Let your fries drain and recover the oil at the base. 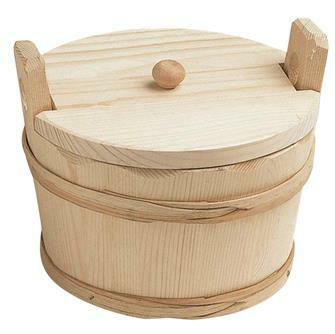 Round potato basket with a lid. 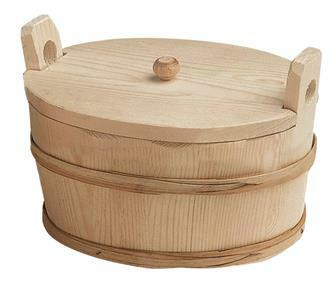 Oval potato basket with a lid. 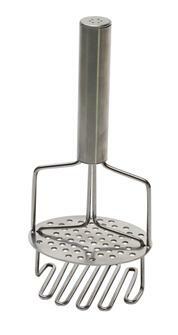 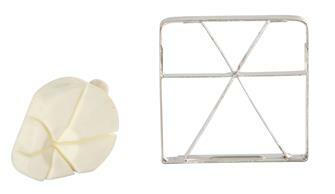 Stainless steel free standing potato masher and chip cutter. 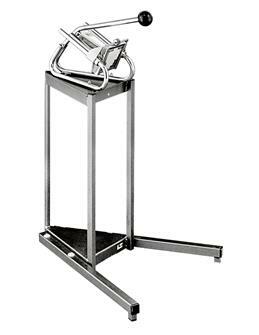 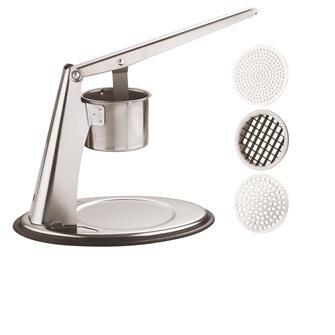 Professional stainless steel chip cutter on a three-legged stand. 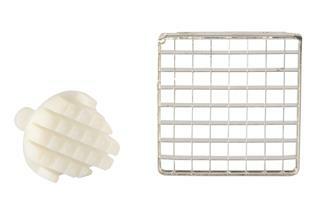 Comes with a grid and a 10x10 cm pusher. 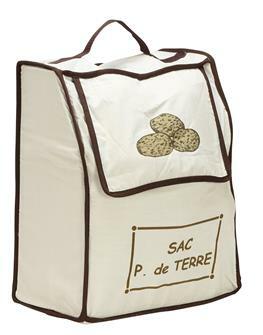 For storing up to 10 kg of potatoes, onions or any vegetables for which exposure to light can cause germination. 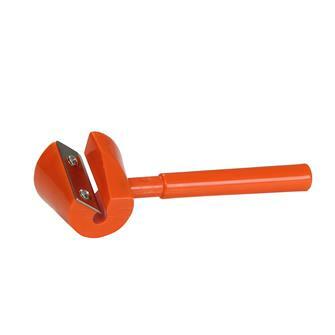 This little device is used to stuff fruit and vegetables. 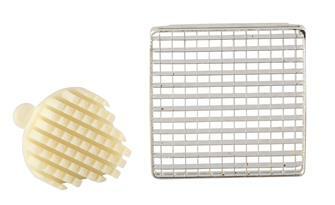 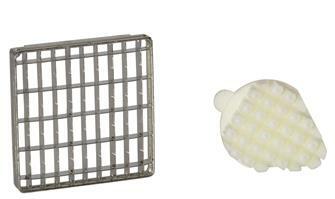 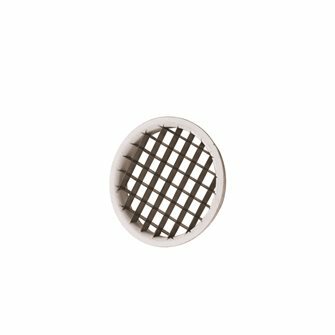 Replacement grid 10 mm for mash and fries press.